Websites developed recently at Arizona State University's Mars Space Flight Facility, in collaboration with NASA, the Jet Propulsion Laboratory, and Microsoft, make it easy for anyone to trek the craters, volcanoes, and dusty plains of Earth's small red neighbor world. 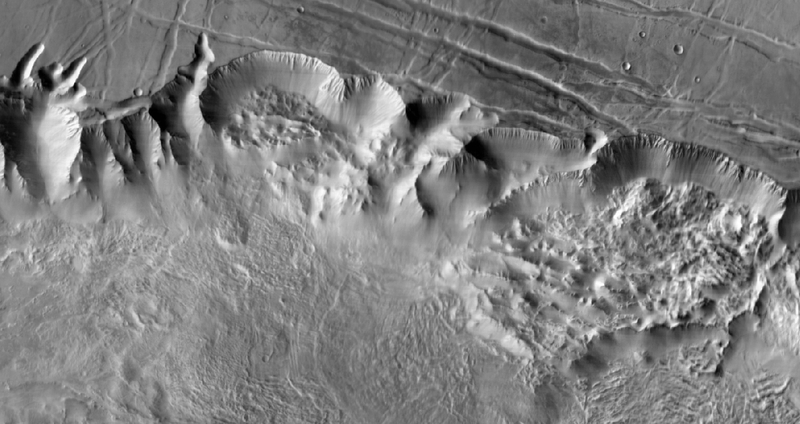 "We've assembled the best global map of Mars to date," says Philip Christensen, Regents' Professor of geological sciences in the School of Earth and Space Exploration, part of the College of Liberal Arts and Sciences. "And we made it available via the Internet so everyone can help make it better." The maps show Mars as if sliced from a globe, unwrapped, and flattened out on a table. Nearly 21,000 individual images have been smoothed, blended, fitted together, and cartographically controlled to make a giant mosaic that Web viewers can zoom into and scroll around. The few missing pieces show where clouds and poor lighting have thus far prevented map-quality imaging; these places are high on mission planners' must-image targeting list. "Portions of Mars have been mapped at higher resolution," says Christensen, "but this is the most detailed map so far that covers the planet." 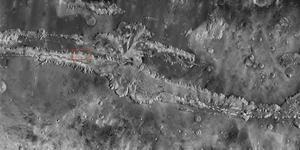 All the map images come from the Thermal Emission Imaging System (THEMIS), a multi-band infrared and visual camera on NASA's Mars Odyssey orbiter. The smallest surface details visible when you zoom all the way in are 100 meters, or 330 feet, wide. The 100-meter map has been in the making since THEMIS observations began eight years ago. "We tied the images to the cartographic control grid provided by the U.S. Geological Survey, which also modeled the THEMIS camera's optics," says Christensen, who is the principal investigator for THEMIS. "This let us remove instrument distortion, so features on the ground are correctly located to within a few pixels." The new map lays the framework for global studies of properties such as the mineral composition and physical nature of the surface materials. In addition, it is helping NASA mission planners choose targets for aiming instruments on the Mars Reconnaissance Orbiter. And the map also plays a role in evaluating potential landing sites for NASA's next Mars rover, the Mars Science Laboratory, due for launch in late 2011. But every map, however good, can still be improved and this is no exception. "Computer-made maps have gone about as far as they can," says Christensen. "Now it's the turn for citizen scientists." He adds, “With the help of people from around the world, we can increase the accuracy of the global Mars map for Red Planet explorers everywhere." NASA's Be A Martian website, developed in cooperation with Microsoft, offers an easy and engaging way for would-be Mars mappers to do exactly this. 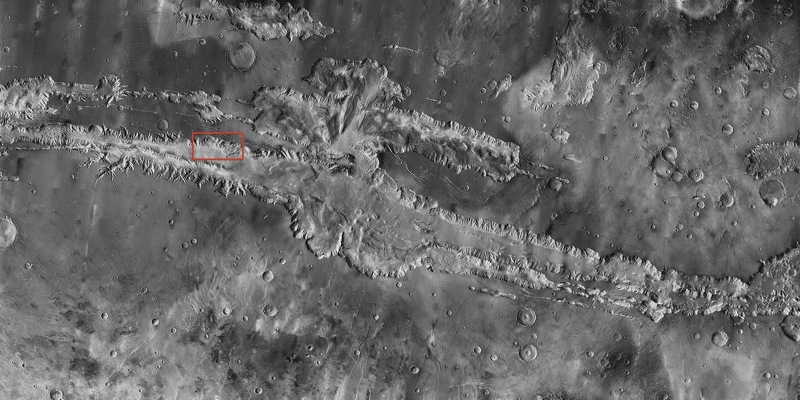 ASU is regularly contributing newly taken THEMIS images to the Be A Martian "Map Room," where the public can help by hand-aligning new images, placing them within a pixel’s accuracy. The origins of the new global map lie in the work of previous Mars missions, which began imaging the Red Planet decades ago. Two new websites developed at ASU provide a wide window into the gigantic collection of images taken by earlier Mars missions. Christensen explains: "These websites present all the images taken by cameras aboard Mars-orbiting space probes, starting with Viking in 1976. The image collection, regularly updated, also includes those from current missions, such as Europe's Mars Express, and NASA's Mars Odyssey and Mars Reconnaissance Orbiter." The new Mars Image Explorer, he says, lets viewers find images in either of two ways. Viewers can click on a map of Mars — or they can specify various key properties such as latitude and longitude, spacecraft orbit number, date, or viewing conditions. Viewers can check out the Explorer by selecting key properties or by clicking on a mission-specific Mars map. The broad purpose underlying all these sites is making Mars exploration easy and engaging for everyone, explains Christensen. "We're trying to create a user-friendly interface between the public and NASA's Planetary Data System, which does a terrific job of collecting, validating, and archiving data. Our focus lies in providing easy access to Mars images for the general public and scientists alike." Click the download link below to see a 90-mile-wide portion of the giant Valles Marineris canyon system. 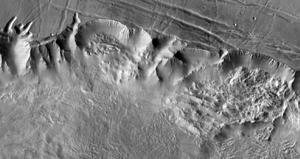 The image shows landslide debris and gullies in the canyon walls at 100 meters (330 feet) per pixel.